Pruning is one of the biggest jobs of the year, it’s an activity that is continued all year round but the main pruning and preparation is early winter. 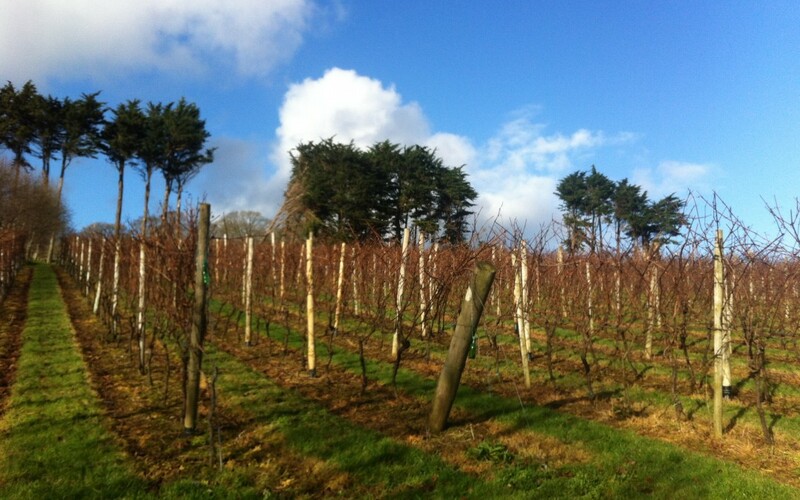 We have started pruning as usual in the first week of January, around 13,000 vines. 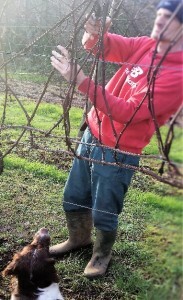 In total it normally takes us 3 months to prune, clear and tie down the vines. There is a real art in pruning, choosing the right canes is imperative to the crop we may have for next year. We try to choose 2 ,3 or 4 canes of a good size without any defects on each vine. The aim of correct pruning is to set up a well-balanced vine for the coming season that will not create too much shade from excessive leaf and let light into the fruiting zone .Most importantly we try to pick the canes that have been in the sun all this year and not one that has been in the middle of the canopy that may have been more shaded. This choice means that we are picking canes that will be more fruitful, the reason is that the sunshine helps buds form that will carry more fruit the coming season. The tools for pruning are a very sharp set of secateurs that are cleaned and sharpened daily, also a pair of loppers for those heavy big cuts that are too big for the secateurs to handle. Once we have finished pruning we then have to re visit the vines and pull out the skeleton of dead wood that has been cut free leaving the chosen canes on the vine. These pruning’s are then cleared from the vineyard and put on a bonfire. The reason for doing this is that we could mow them back into the ground but they may well be carrying some unwanted fungal disease (mildew or Botrytis) on them that would then be present on the vineyard floor and could carry that disease over to the vines next year. Once that job is finished we then have the job of wrapping the canes around the trellising wires and then tied with twisty tie to the wire at the end of the cane. Hopefully weather permitting we should all be finished by the end of March just in time for the buds to start appearing at the end of March beginning of April. These buds will become the green shoots that carry the fruit during the growing season that ends at harvest end of September beginning of October. These shoots left untrimmed could grow 8 or 10 feet each and normally there is 20 to 30 on each vine. We use two sets of wires to hold the shoots in place as they grow, these wires are held taught by wooden posts in the rows and then the larger much stronger end posts that bare the weight of the wires. After this the vines start to turn from green to wood as they become dormant and all the energy in the vine moves down into the root system. 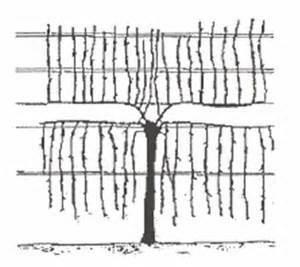 There are many types of training trellising systems for vines, we have mainly used a simple system called (VSP) which is vertical shoot positioned, however we are in the process of changing some vines into Scott Henry whereby you split the canopy into upward and downward growing shoots that is going to allow more light into the canopy and reduce shading. This should increase ripeness and yield. This system has been widely used in New Zealand, Australia and America. Tom Honey an experienced pruner working in the vineyard January 2016 ,being closely watched by Lexi our vineyard dog.